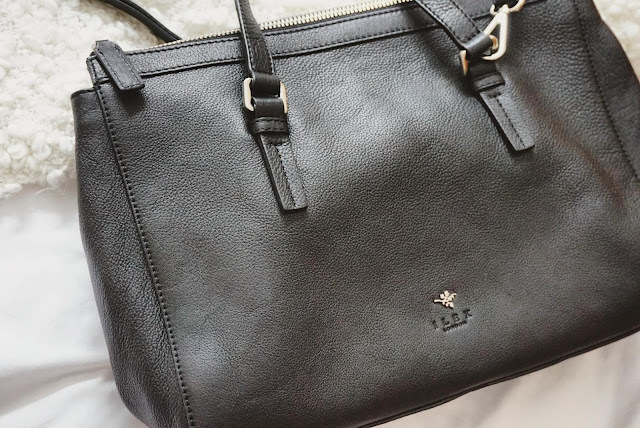 There's nothing I love more in the world of fashion, than the constant happiness that handbags bring! A bag will always fit, it isn't uncomfortable and it will go with everything. So I was delighted to review a new bag from Ilex London. It was a very difficult decision choosing which one I would add to my rather exclusive collection. I say exclusive, as although they are without doubt my fave accessory, I'm also very picky when it comes to buying one. It must be something I haven't already got, practical and chic. 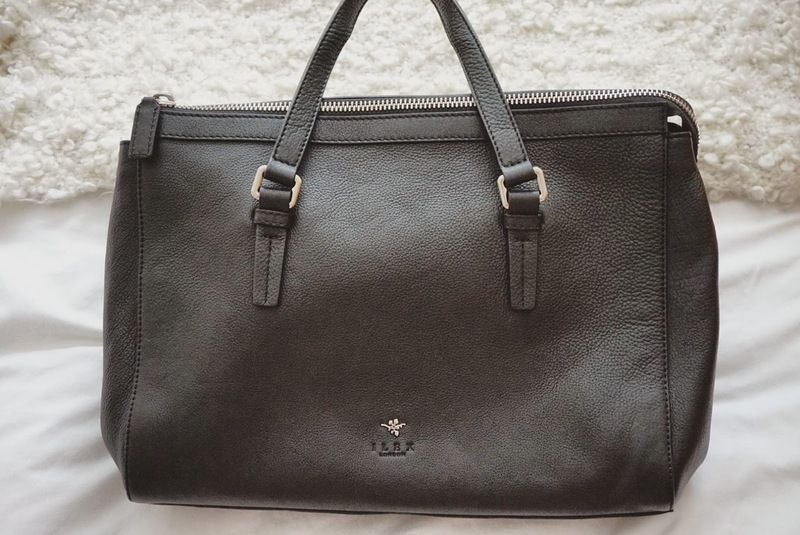 In the end, I went with the stunning 'Olivia' which is a genuine leather beauty. As well as looking beautiful, it's also a really great size, and easily fits an A4 folder in, so I immediately knew that I would use it for work. It has both carry handles and an over the body strap, so it's great when I have a lot to take around with me. 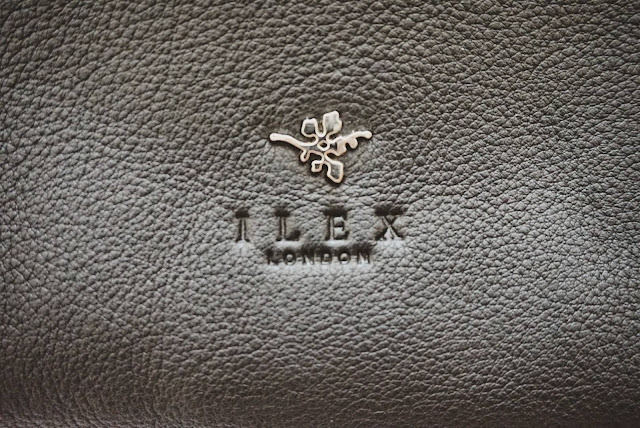 Ilex are a UK based bag company that specialise in creating beautiful leather bags. 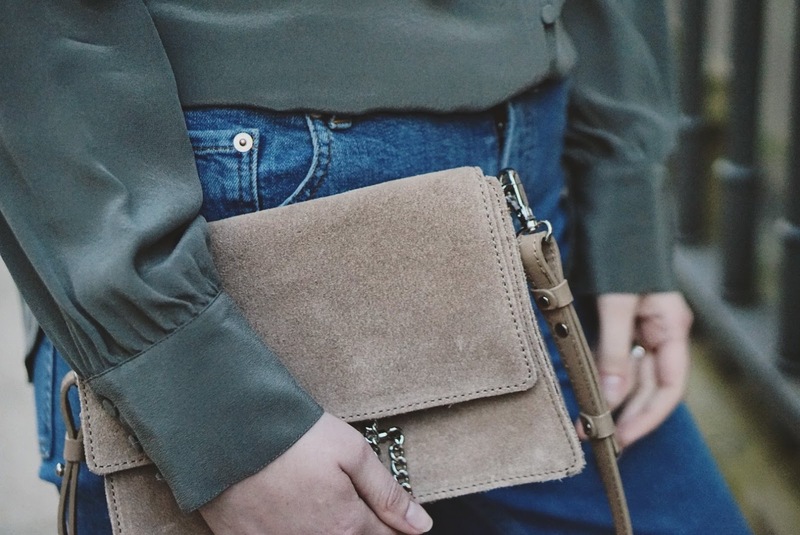 Rather than concentrating on fast trends, they choose to create timeless bags that will last season after season. That's exactly what they've created with their fantastic collection - I'm in love with them all! You can immediately, not only see the quality, but feel the quality. It's a bag that will be used again and again and only get better with age. The silver coloured hardware is the perfect finish, and means it's incredibly versatile when it comes to pairing with outfits. 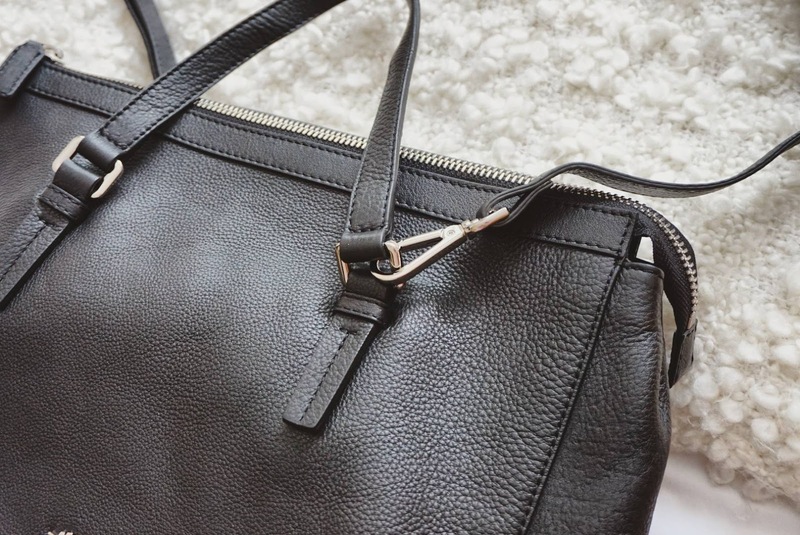 As you can see, it has a detachable over the body strap, so you're getting 2 bags in one! You can check out the full collection, including the new season range, online; here. Firstly, apologies for not having uploaded a fashion post in what feels like years! I hope if you do follow me, that I've kept you up to date with my OOTDs on Instagram. I started a new job about 3 months ago. My very first job in the fashion industry (my dream) and although I've love every minute; it's not left me much time to physically go out and take outfit pictures (which my husband is very happy about as he's my "photographer" ha!). Anyway, a few weeks ago I received the most beautiful, real silk shirt from Wrap London. It was so stunning that I just had to get out and shoot in this stunner. As it happened, my best friend was coming up from London, so it made for the perfect excuse to glam up and shoot some pics! The shirt itself it just a dream. I chose the khaki version, but it also comes in 'mink' and 'grey' which are equally as stunning. I've never owned a real silk shirt, but boy, you can tell the quality. It just feels different than the usual synthetic material that you get from high street stores; it's definitely an investment piece! As it's so versatile, I've actually already worn it twice. Once with my snazzy jeans for the night out, and also with some sports luxe joggers; it just looks incredible on, and hangs to perfection. 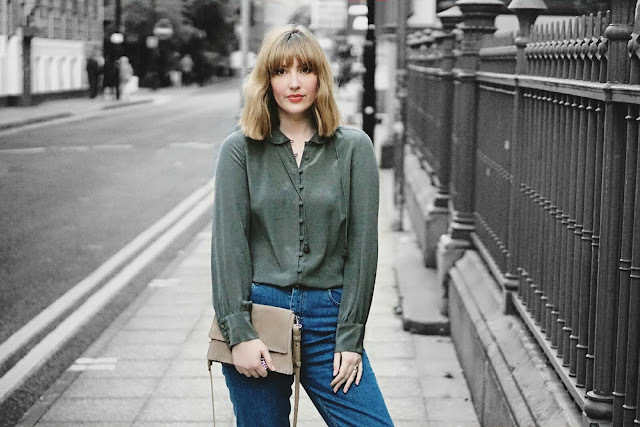 I teamed my dream shirt with these frill hemmed jeans which really are the marmite of denim. 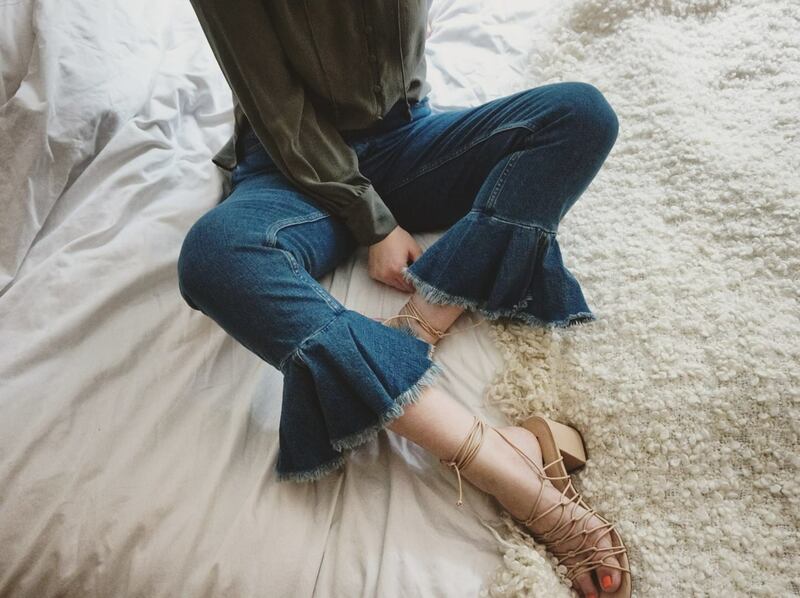 Well, I say that, they're more man repellers, as most girls LOVE them, and I am indeed taken with the frill this season (if you follow my IG then you'll know my obsession). I finished the looked with my absolute mega babes from Mango. I'm afraid they're sold out now, but I couldn't not feature them! I will definitely keep up with my blog from now on, and I really appreciate every single one of you who still read this! Have a great weekend! It may only be August, but let's face it, it's the UK and for me it's the North - so I'm already feeling pretty autumnal (especially today, it's raining and 12c in SUMMER). This miserable weather has actually made me reminisce about snuggly winter evenings, drinking hot chocolate and watching a period drama on the BBC. I was even more inspired when I got what can only describe as a GIANT box of goodies from the fantastic Lazy Dogz who specialise in extra comfortable (and may I add glamorous) slippers. As you can see from the pictures; these are not just your average pair. 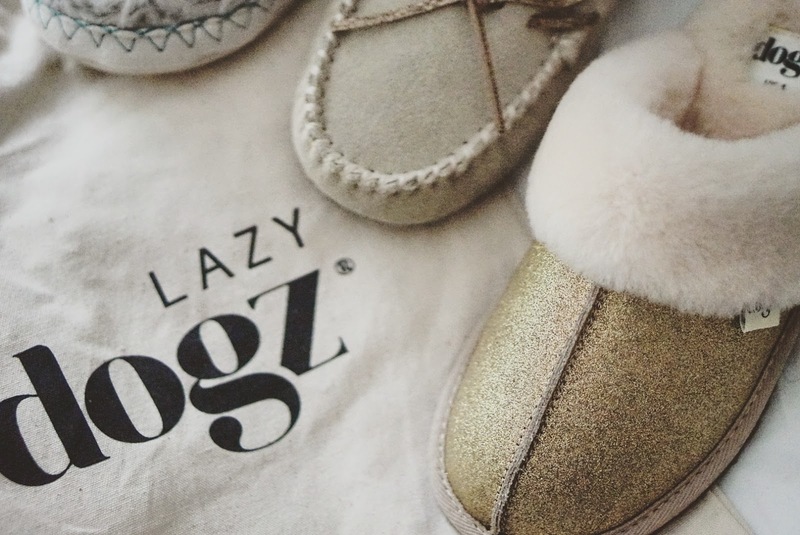 These babies are fashionable accessories to jazz up your winter nights. I was obviously immediately drawn to the fabulous glitter pair which will be out this Autumn. I mean faux fur and gold glitter; what's not to love! They are not just beautiful to look at, they are genuinely, incredibly comfortable. 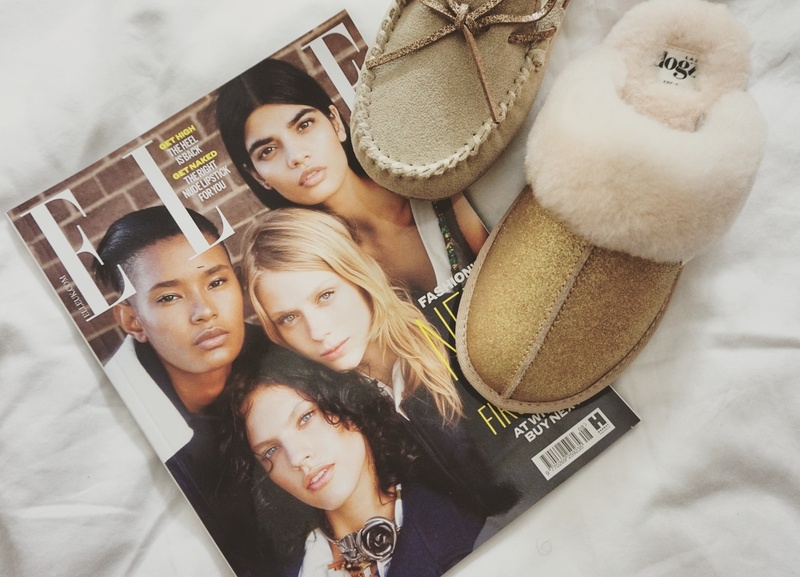 I was lucky enough to be sent 2 pairs to wear now (actually wearing the booties as I write this) and the samples from the AW16 collection (which I cannot wait to get my hands on!). 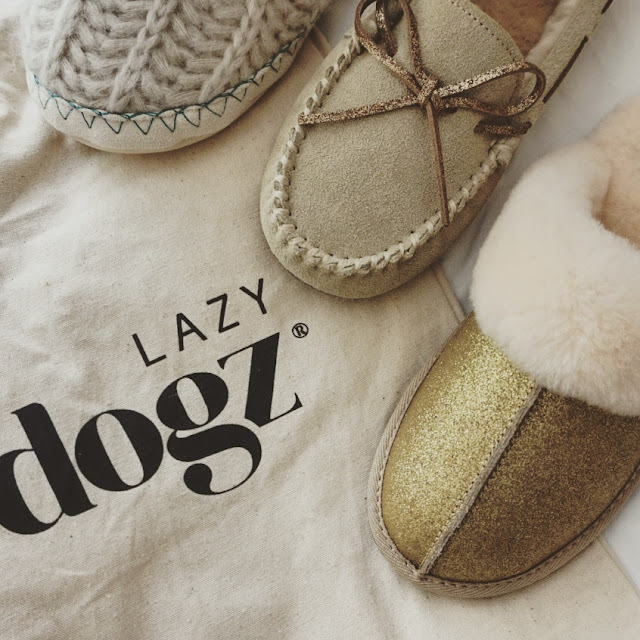 Along with making the slippers extra beautiful and fashionable, Lazy Dogz also ensure that they are made ethically and everything is designed in the UK. 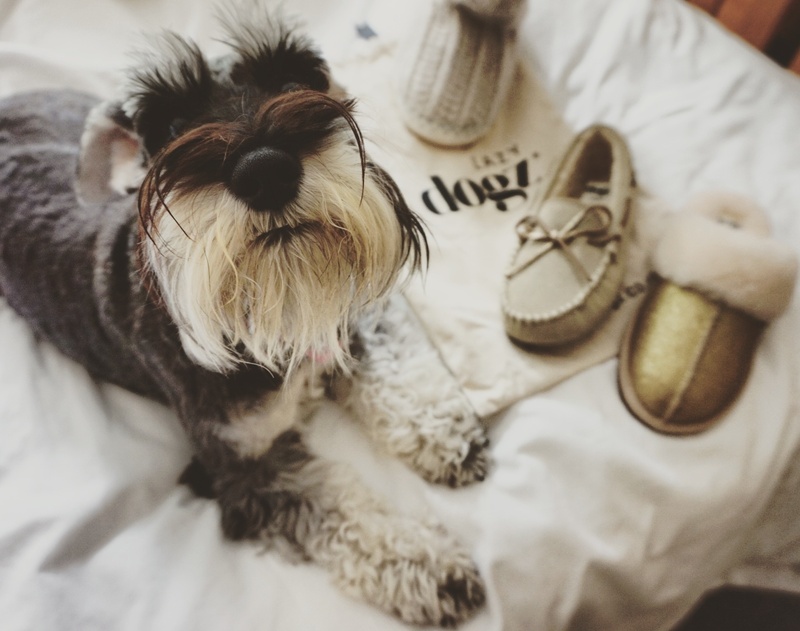 They also donate a £1 from every pair sold to the Manchester Dog home, which is a charity very close to my heart. If you don't already know, a few years ago there was an awful fire and many dogs lost their lives. Thanks to the support of Lazy Dogz and the generous public, they have re built the home. I myself donate every month as I'm a massive crazy dog lady. The little cherub featured in this post is my baby Ruby. She's 1 and needless to say, LOVED posing for these pictures! So; if you're looking for the most stylish slippers around, get yourself over to Lazy Dogz and you'll be guaranteed to give your friends some major slipper envy! For me, summer isn't always the best time for fashion. I feel the natural urge to lose a few pounds, I expect my skin to be flawless for all the skin baring new season pieces and I want picture perfect feet for all of the seasonal shoes! Well, let's face it - I'm always going to be pale, I will always (as Ross from Friends would say) "bruise like a peach" and pizza will always be more important than abs. However, after my recent trip to Margaret Dabb's new salon in Aldery Edge, I may just about have the foot thing sorted! I was invited down to have my very first 'medical pedicure', which to be honest, I had to do a bit of research into as I had no idea what this entailed. Turns out, it's the ingenious and exclusive treatment developed by Margaret Dabbs herself, who I was lucky enough to meet and interview. Margaret who is a trained Podiatrist, first developed the medical pedicure when she was treating both men and women, who had problem feet. 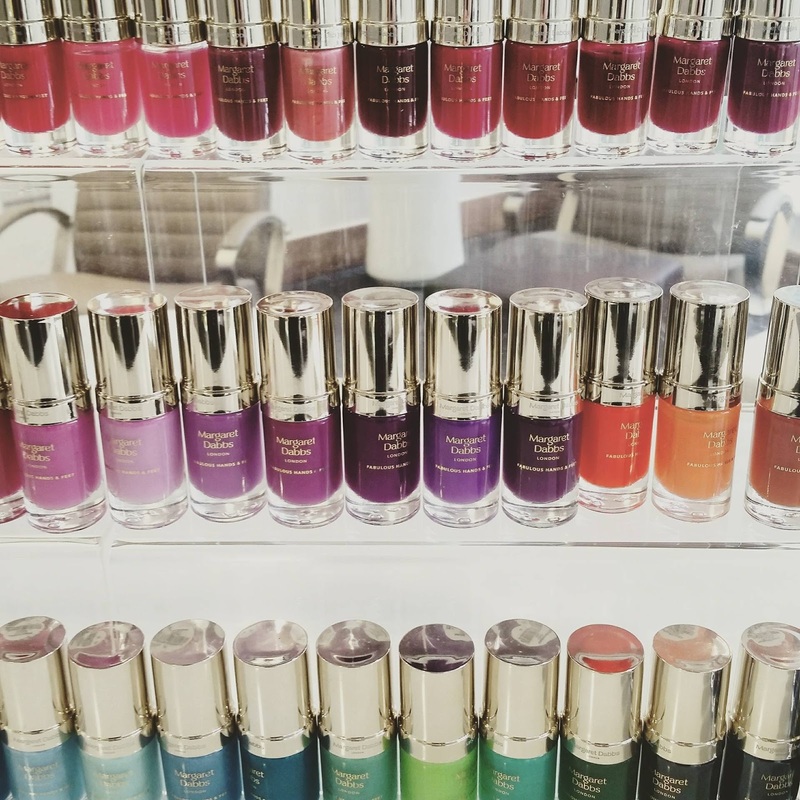 Her clients wanted their feet to not only look and feel healthy but also have the polished and groomed feeling like experienced through the 'normal' pedicure. Margaret explained that although it sounded so simple; no one had thought to put the both together. 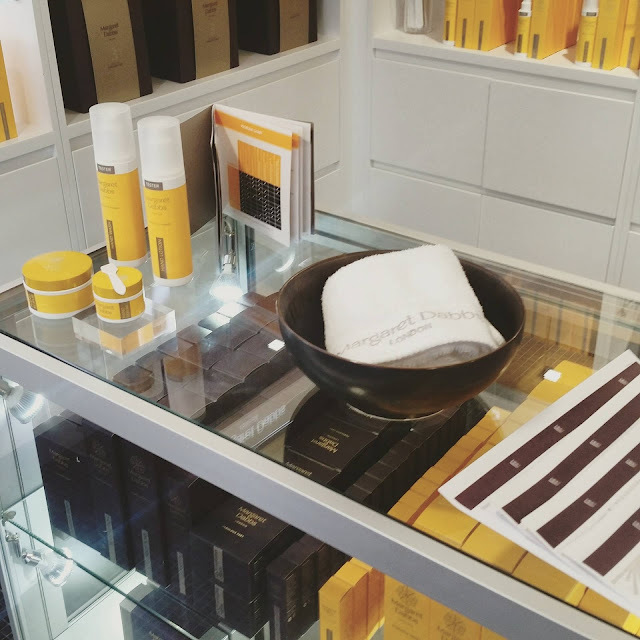 The treatment proved so popular that it led her to open her own foot clinics and from there she began to explore developing her very own foot products. 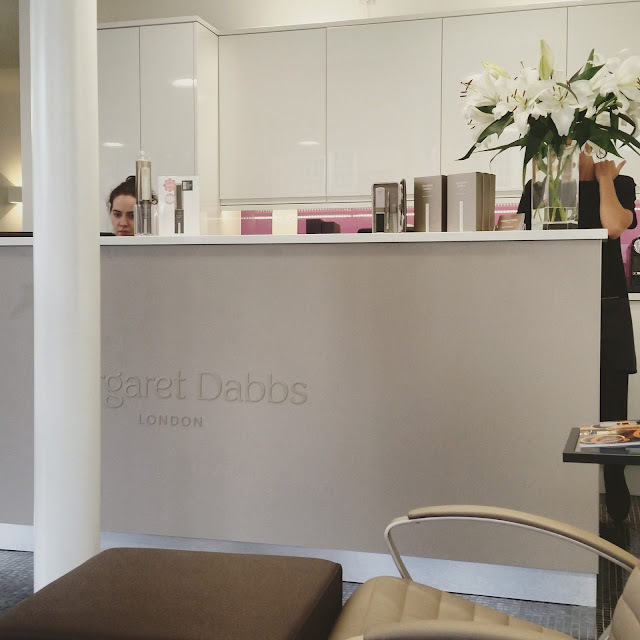 The Margaret Dabbs brand has gone from strength to strength, and it was incredibly interesting talking to such a passionate and inspirational business women. She now has a range of clinics all over the world, including Dubai, London and her new venture up here in the North! 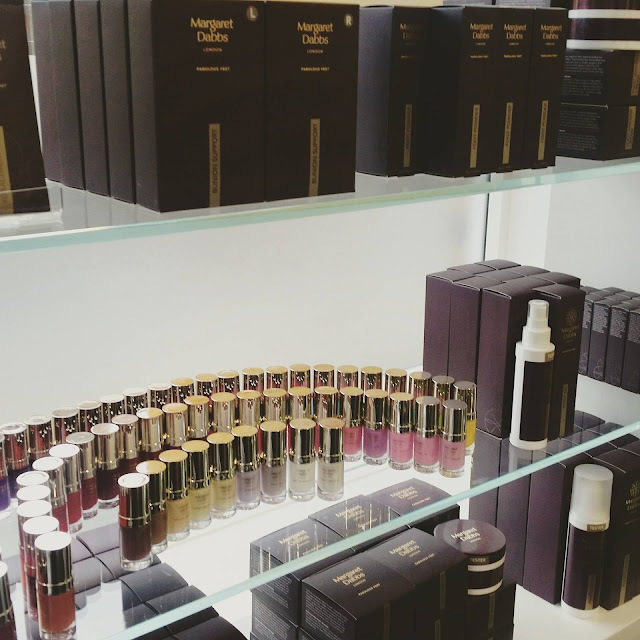 Her range of products has also grown, with a full top to toe body care available, including her own nail polish, all of which she has had first hand in designing and developing. 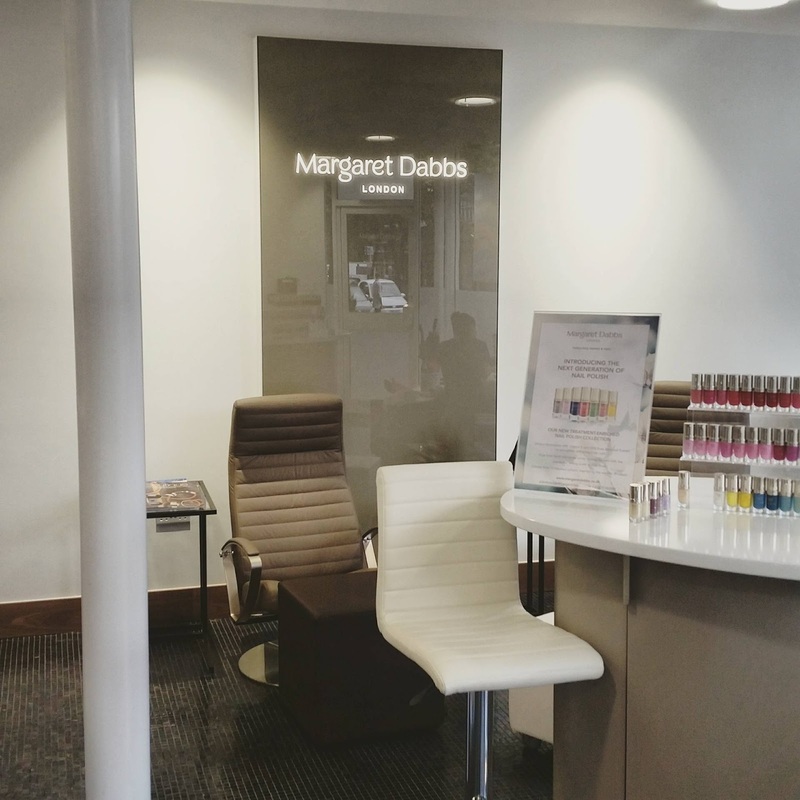 Having come from the Podiatrist's background, Margaret had a wide knowledge of the natural oils and ingredients which would benefit not only feet, but the hands and body. 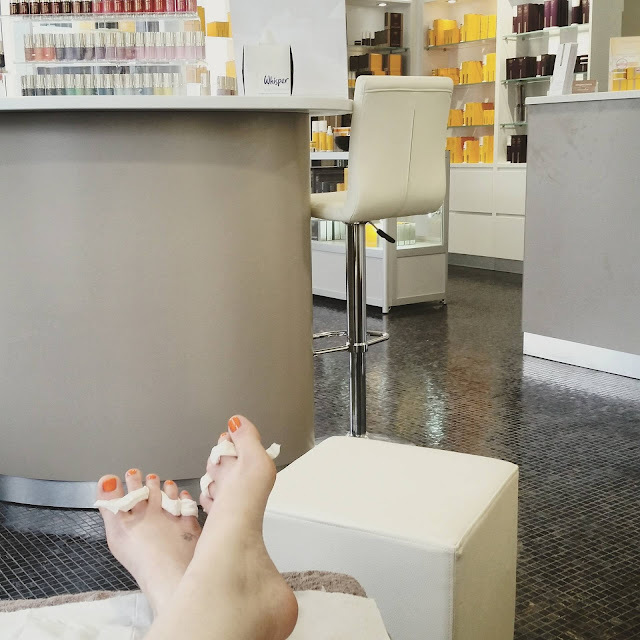 I had the chance to experience the incredible medical pedicure, which I can assure you, is life changing! made my feet glow - literally. The dead skin was gone, I had soft pink feet. They felt 'light' and fresh. Very strange thing to describe I know - buy seriously guys, this is the best foot treatment I have ever had. The key word is 'treatment'. 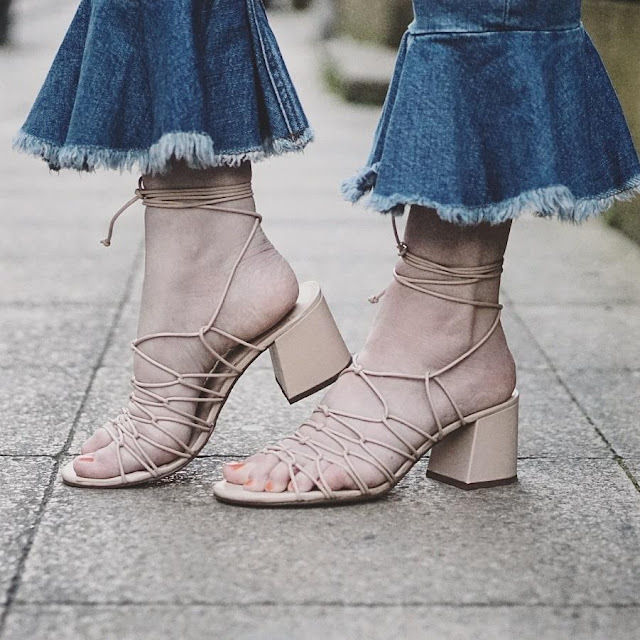 It wasn't just a pedicure; it was a treatment which has made a massive difference, and made me feel a lot more confident about my feet. A picture of my feet is the proof of the pudding. You will have never seen a picture of my feet, especially not in shoes! However after the medical pedicure I could not wait to get them out. I was also treated to a manicure and my toes were finished off with an exclusive Margaret Dabbs nail polish in a beautiful coral shade by the lovely Leah. I was in the stunning new Alderly Edge salon for a few hours, and I left feeling like a new woman. Relaxed isn't the word - I felt amazing, completely at ease and pampered. A week on and my feet are still soft, which is something I didn't expect. I was very lucky enough to be given a goody bag with everything I could ever need for my hands and feet. I have a super strength file which I haven't even needed to use yet, but it was used in the medical pedicure, and it was AMAZING. All of the products (a lot of them, award winning!) are available to buy here. A massive thank you Margaret and to all the staff at the wonderful new salon. I was made to feel so welcome and the podiatrists and beauty therapists were incredible. I can't recommend the salon enough. If you fancy a visit a yourself, you can check out all the salons here. Time to get your feet out girls!